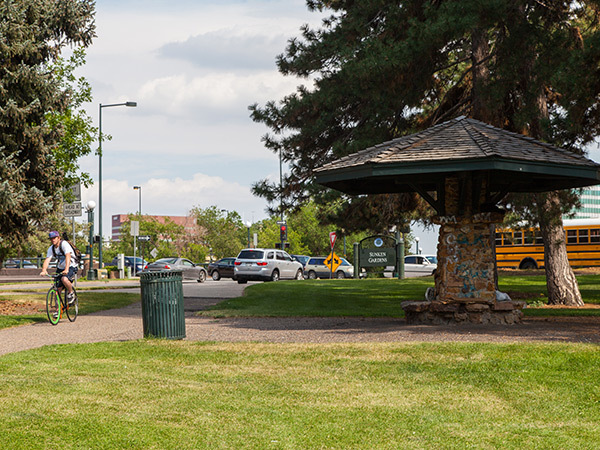 Comprised of two adjoining triangular segments along Speer Boulevard, this twelve and a half-acre park is flanked on the south by the Denver General Hospital and on the west by West Denver High School. Designed between 1909 and 1911 by George Kessler and S.R. 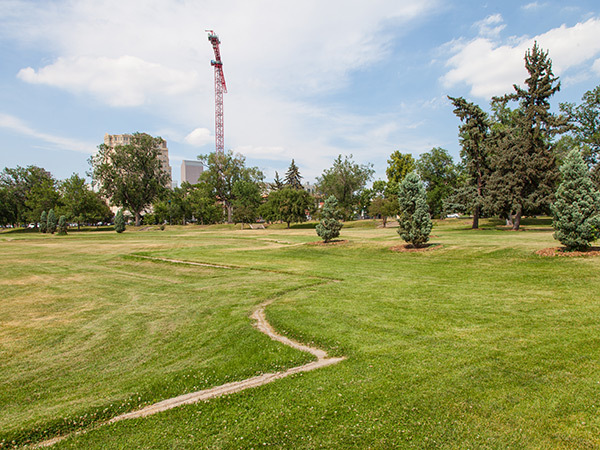 DeBoer, the park reclaimed land formerly used as dumping grounds. 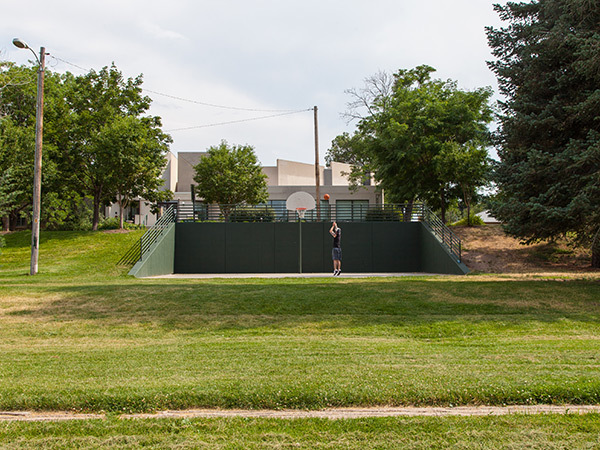 DeBoer diverted Cherry Creek into the undulating southeastern section to create a waterfall and stream through a naturalistic glen of cottonwood, pine, and spruce. 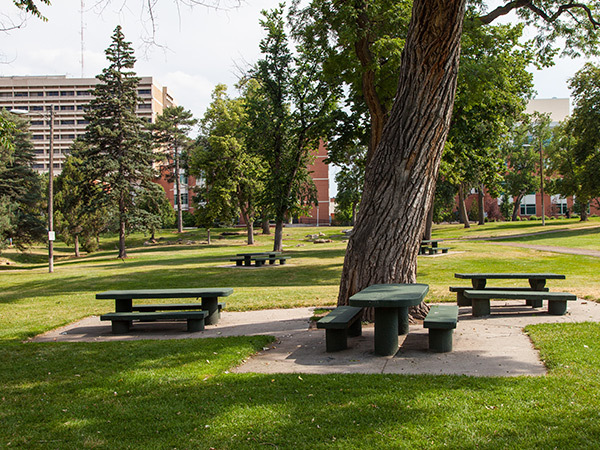 In 1910 a shelter comprised of a single pillar of stone, a rustic log roof, and a circular bench was sited in the park along with picnic tables. 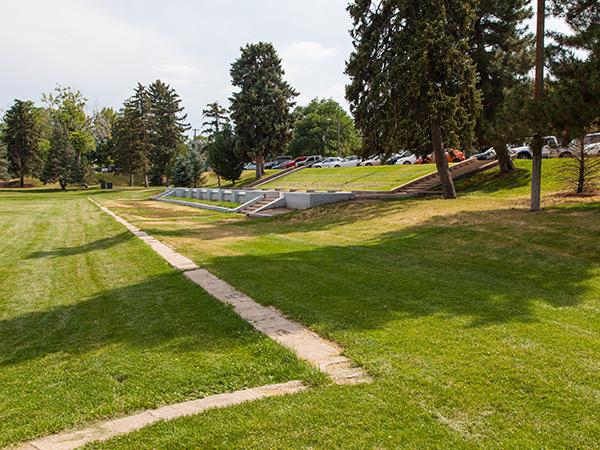 A year later, the northwestern section was completed with terraces of lawn and formal gardens extending ten feet below grade, a reflecting pool, and a concrete Florentine pavilion with arched doorways. Multi-colored lights illuminated the pool and pavilion. 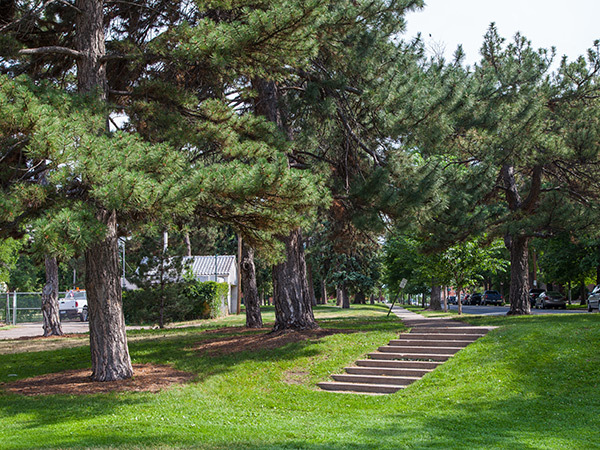 Groves of cedar, pine, and spruce framed views of the surroundings, sidewalks were lined with elms, and specimen oak, catalpa, and ash were planted throughout the park. In 1916 DeBoer designed an extensive rock garden near the stream. 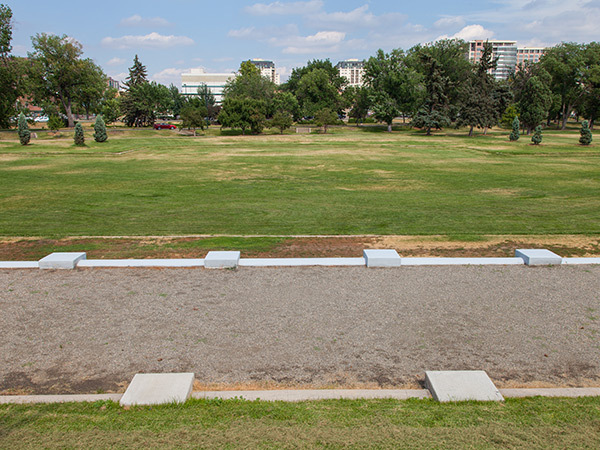 The pavilion was demolished in 1933 though the steps remain and the pool, filled in the 1940s during a polio scare, is still visible as remnant walls at grade. Even though the park has lost many of its built features and its rich ornamental plantings, the garden still retains integrity of its original design. 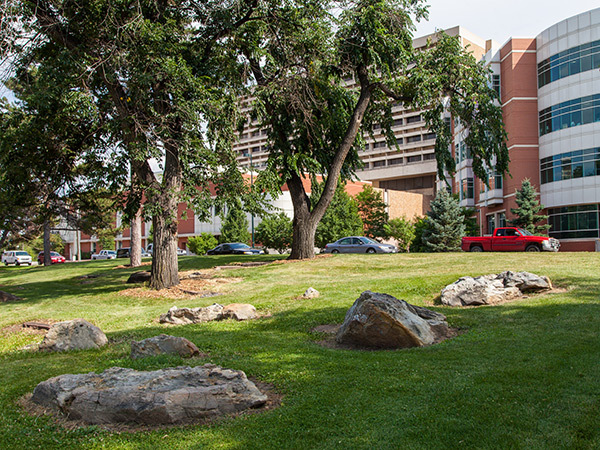 The rock garden, canopy trees, and shelter remain today. 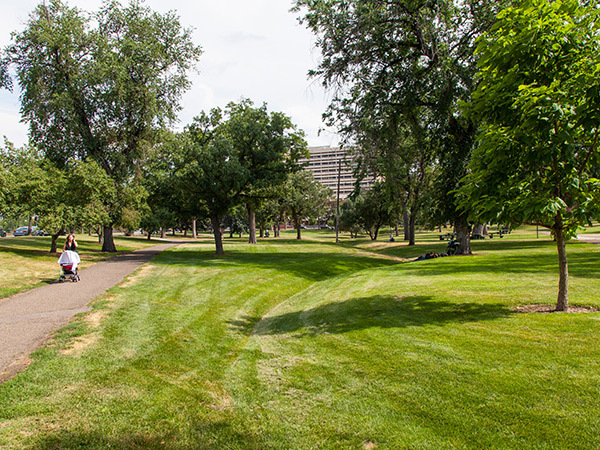 Sunken Gardens is a contributing feature to the Denver Park and Parkway System listed in the National Register of Historic Places in 1986.